On Saturday, November 3, the LVM Nature Park in Tērvete will celebrate the festival of dwarf town Čiekure. With songs, games, creative workshops, flickering of bonfire lights and characters of Nature Park in Tērvete we will have fun, gambol and get to know the streets and houses of Dwarf town! 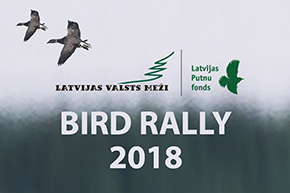 An event in the middle of forest for those nature friends who think that all weather conditions are perfect for active recreation in nature. Starting from 12 noon until 4 PM at Dwarfs’ Cottage a celebratory sign making workshop together with the always active Dwarf family. Dont miss a special cheering and song praising – singing together with Autumn Dwarf from 1 PM. In the dwarf town Čiekure from 12 noon until 4 PM the active and adventurous ones will have sports activities and Dwarf gymnastics, delicate works in a guidance of Forest Dwarf and games by the celebratory bonfire. Guests of dwarf town Čiekure, when attending the celebration, will be able to appreciate how the town is growing. Every year some new, surprising district is built – altogether dwarfs have planned more than sixty different buildings and objects. Together with dwarf craftsmen and artists – the domestic producers and craftsmen from Tērvete will also take part in town's celebration offering their tasty and healthy products for various tastes. The LVM Nature Park in Tērvete is constantly growing and developing, each year the thematic parts of the park are not only kept in good shape, but also reconstructed. The LVM Nature Park in Tērvete invites to break away from the mundane, not shy away from the weather conditions and celebrate the holidays in nature!